Expand an existing intergenerational church sponsored campus to include senior housing. Looking to provide added support to its aging parishioners, this senior living project offers a perfect blend with the surrounding campus and community. 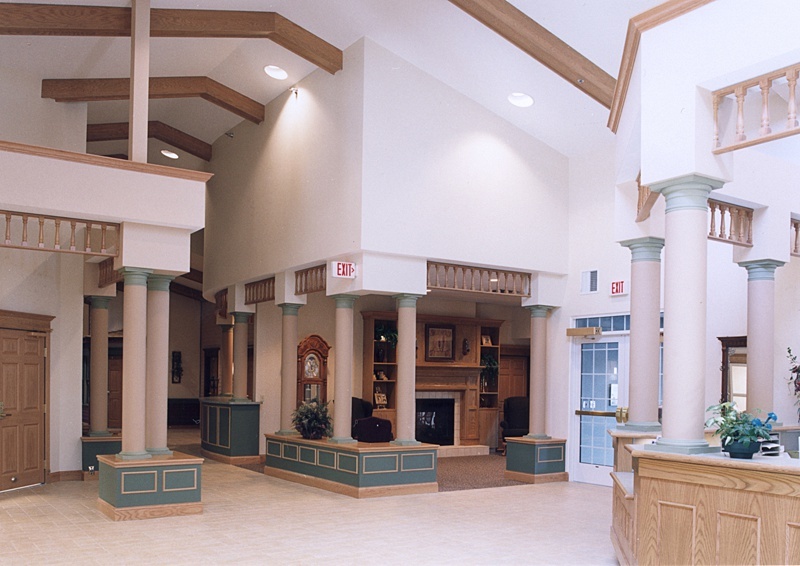 It features specialized memory care assisted living to allow seniors to preserve their independence and a warm decor for a strong marketable design. Other campus changes include a K-8 youth academy and planning for a child development center.